The Legendary Ken Boothe, O.D. has Been through thick and thin. Through Star-time and No-time, from living in the shanties of Denham Town and its environs to the beautiful neighbor- hoods of Kings House, St. Andrews in his homeland of Jamaica. Ken Boothe, O.D. has straddled the social status-spheres, both locally and internationally, in California, New York, Toronto and London. He has conducted numerous tours of Europe, North and South America, Japan and the Caribbean. In Jamaica he continues to reign supreme and maintains his popularity as one of the nation's top entertainers. His musical talents and love for humanity have afforded him the opportunity of touring in North and South America, Europe, Japan, Canada and the Caribbean. With a unique combination of talent, Boothe has emerged as a "one of a kind" singer; an accomplished musician, songwriter, musical arranger and an impressive dancer. His artistic style embraces a rare blend of musical genius. Ken Boothe's musical career began in the early sixties. Coming from a musically talented family, Ken attributes his musical interests and abilities to his mother and older sister. They have inspired him to use his blessings. In addition, he acknowledges being influenced by the musical greats, Mahalia Jackson, Wilson Pickett, Otis Redding, The Temptations, and The Drifters. When Ken Boothe was only eight years old he won his first singing contest and has never looked back. He has never lost his focus, even if it may have appeared blurred at times to the outside world. His aim has always been to sing and perform to the best of his ability. Boothe began his recording career with Winston 'Stranger' Cole in the duo Stranger And Ken, releasing titles including 'World's Fair', 'Hush', 'Artibella' and 'All Your Friends' during 1963-65. Thereafter he released a series of hits on Clement Dodd's Studio One Label. When the rocksteady rhythm began to evolve during 1966 Boothe recorded 'Feel Good'. 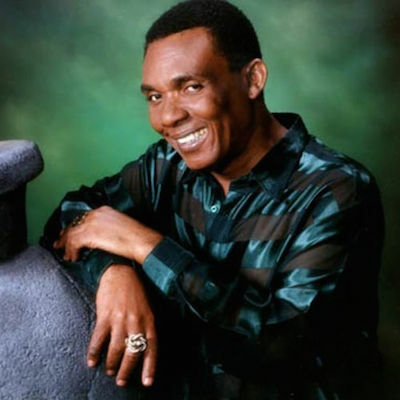 In 1968 at the age of 17, Ken Boothe released his first album "Mr. Rock Steady", which included numerous hits such as "The Girl I Left Behind", "When I Fall In Love", "I Don't Want to See You Cry", "Home, Home, Home", and the title many regard as one of Boothe's best exponents of song, "Puppet On A String". Journalist Alphea Saunders, in writing about Boothe and this song said, "He is one of the best of the very best". During the early seventies, he freelanced for various producers including Bunny Lee, B.B. Seaton, Keith Hudson, Randy's, George 'Phil' Pratt, Niney the Observer, and in 1974, he recorded the hits, "Everything I Own", followed by "Crying Over You" for producer Lloyd Charmers. The legendary singer has to his credit an illustrious string of hits that have dominated the Rocksteady and Reggae music eras, successively. He has released a total of twenty-one albums including the classic gospel 'Door 2 Door' and the traditional 'ACCLAIMED' and the collection, 'CRYING OVER YOU', a 23 track retrospective of Ken Boothe's career from 1963~74 recordings from various studios. Ken has always been recognised as the "Voice of Choice" in the history of Jamaican popular music. In 1974 his golden, 'Every Thing I Owned' topped the international charts with an extended stay of four weeks at #1 on the British Top Of The Pops Charts, followed by 'Crying Over You', which made it to #11 on the same charts. Pop singer Boy George covered Charmers' and Boothe's version of 'Everything I Own', topping the UK charts again with the song in 1987. More recently, Ken re-recorded his first solo hit 'The Train Is Coming' in combination with hot DJ Shaggy, which was released on Shaggy's platinum, Grammy-winning BOMBASTIC album. The song was featured as the theme song of the soundtrack for the movie Money Train, starring Wesley Snipes and Woody Harrelson. The video for the song gave Ken his first heavy rotation on MTV. Ken's latest album, 'LOVE IS THE ULTIMATE', expresses the concepts of social, philosophical and emotional love. A legendary artist, Ken is a master of his craft, hailed as one of the original banner-carrying Reggae singers. On this new album, love is indeed the ultimate expression of the man. Ken Boothe waves the banner across the spectrum of love songs, - from the emotional, 'Never Leave' to 'Suddenly', 'Something On Your Mind' and 'Your Feeling And Mine'. Then there are the social love songs, such as 'Prosperity', 'Rainbow Love' and 'Injustice', plus the philosophical 'What Is Love', 'Black Gold And Green', and the title track. Ken blends his traditional style with modern sensibilities and has come full circle, marrying his original vocal sound to the current rhythms and a mixture of melodies. Produced by Danny Breakenridge and Boothe for Upstairs Music. Ken recently said, "I am well pleased to complete this work. It's up-to-date with a variety of songs to choose from." For over three decades as a professional singer, he still commands the power to unleash his soul on an up-tempo song, a passion that soothes you on a ballad, while he captivates your ear anywhere in between. Love is the Ultimate combines all the above elements in the ultimate listening experience. The internationally recognized Reggae Musical Titan continues to record new music with a sense of purpose for promoting peace, love, and justice for all of humanity.